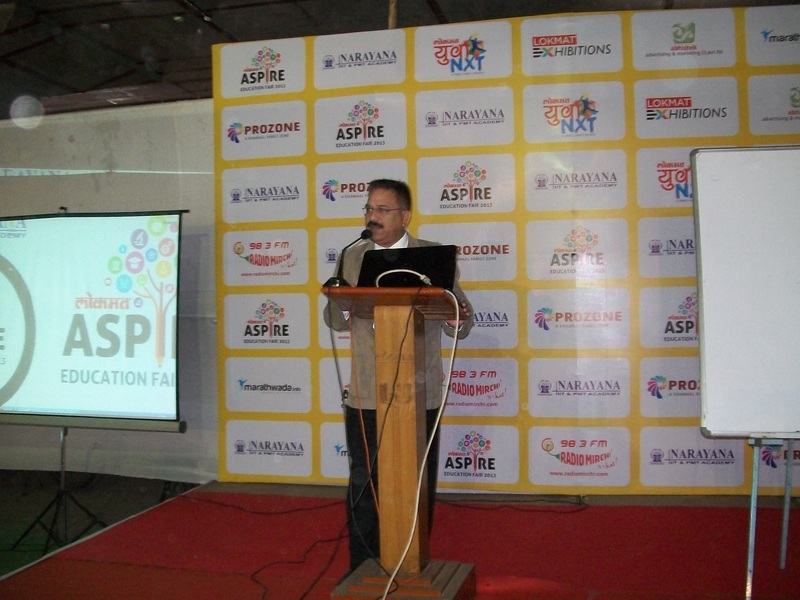 Mr. Deepak Singh, Principal – Stepping stone school, Aurangabad shared his views on importance of career planning and psychometric test to select right career and course in Lokmat Education Fair – 2013. Parents and students visiting careerfutura stall to know more about right career and stream selection at Lokmat exhibition in Nashik. 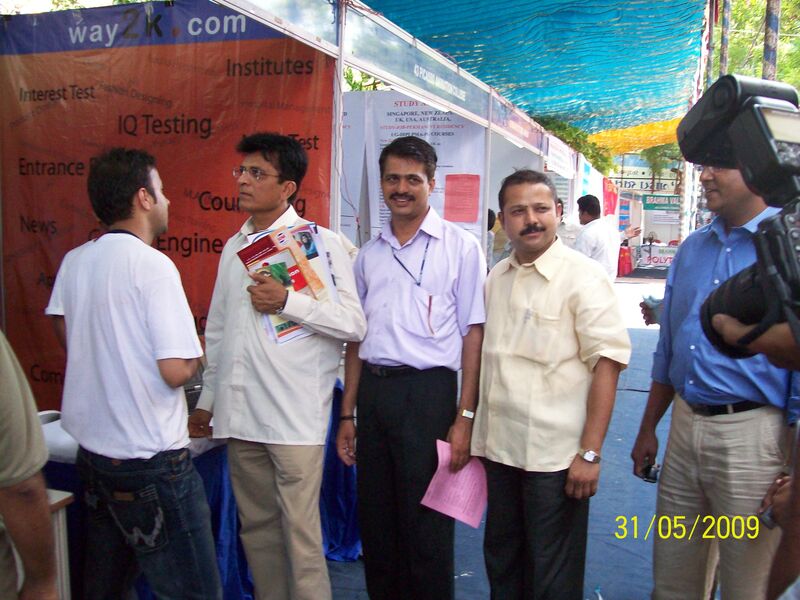 Shri Kirit Somaiyya, a renowned politician, educationist (extreme left), Mr.Ajay Boraste, ex deputy mayor, Nashik (extreme right) , gracing our stall at Urja with their presence and interest in our first product way2k.com, held at Nashik in the year 2009. 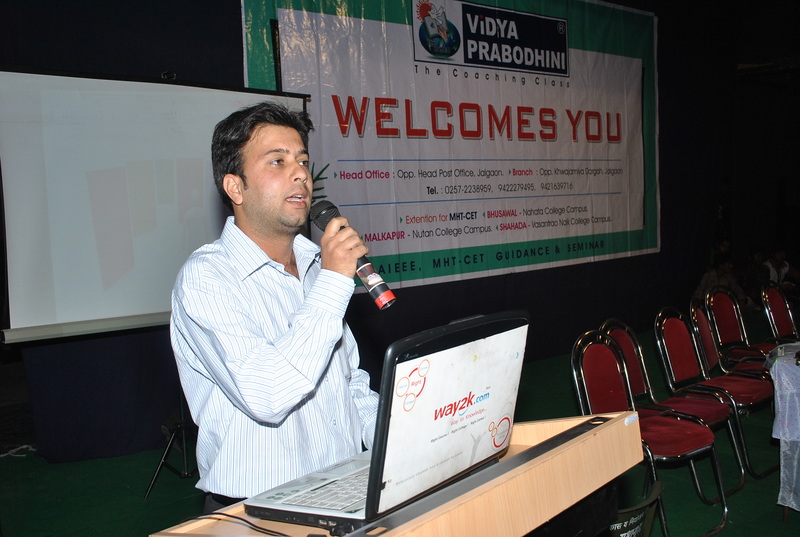 Sahil Saraf, Head of Marketing, sharing his experience and views on career choice and the correct methods at an event held by Vidya Probhodhini, Jalgoan.